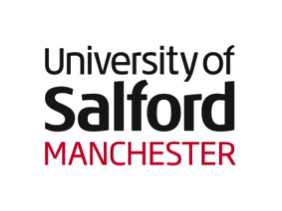 Speech delivered at The University of Salford, UK, 9 February 2015. Empowering Practice and Inspiring Innovation. Fresh responses to child abuse, including sexual exploitation, in Greater Manchester. Ladies and Gentlemen, for those of you who have managed to read my report, Living on a Railway Line, or the Executive Summary, you will know that this 15 month project, which involved 10 weeks of travelling, was funded by the Winston Churchill Memorial Trust, the Association of Paediatric Emergency Medicine and my own Clinical Excellence Award from last year. During this project to produce Living on a Railway Line I’ve flown 35043 miles, spent 10 weeks away from home and visited nine different cities in six different countries: setting out what I believe to be International Best Practice and Evidence-based recommendations to turn the tide of child abuse and neglect here in the UK. I hope what I am about to talk to you about will be useful to stimulate discussion both in the small group sessions that we are about to have as well as the plenary session. As the late Robin Williams said, “No matter what anybody tells you, words and ideas can change the world”. What I’ve learned through my travels is that ideas are the most important things. Those ideas can, and do, make a difference and they come from a wide range of different sources: children and young people, families and professionals included. Many of you, if not all of you, will have ideas today and the whole purpose of this workshop is to develop and share them with the aim of improving the situation for children and young people who are at risk of serious abuse of many types – including sexual exploitation and other exploitative situations. I am only going to focus on a few key areas of my report the purpose of which is to stimulate discussion. Not to give you the answers – you have those yourselves already, even if you may not have previously been given the opportunity to express them. Working Together to Safeguard Children has statutory authority to set out how agencies must work with each other to protect vulnerable children and how professionals should assess children who may be at risk of significant harm. Although in the UK we have a competency framework to describe the skills and knowledge required by professionals working with children and families, and the level to which they should be trained, we do not have a universally standardised child protection educational programme, with room for local modification. Improving knowledge, although not simple, is easier than influencing professional practice. One way to tackle this is to introduce a comprehensive approach for improving professional competency in child protection, starting at a very early stage – for those professionals who study at an undergraduate level the education must begin there. And I’m talking about a wide range of professionals – from health to social work and from education to law. Unless the issues related to safeguarding vulnerable children are highlighted at a very early stage in training it will be much more difficult to change inadvertent poor practices that are adopted post-qualification. That is why the UK must introduce a standardised, compulsory, multi-professional training programme, to complement the inter-collegiate competency levels, for all professionals dealing with children and families. This must include specific training on the potential signs, features and vulnerabilities of children who are at risk of, or who are suffering from, all forms of abuse and neglect including sexual exploitation. That new programme needs to be validated and assess the outcomes for children and young people. Those outcomes I’m talking about are much more than simply recording statistics – for I think that on many occasions we think we are measuring outcomes when in actual fact we are measuring processes. So, just as one example, if this new educational programme was found to result in increased confidence of professionals to refer children to, for example, the Local Authority what needs to be recorded is not simply the change in the referral pattern but what the ultimate outcome for those children was. Did it result in less days absent from school? Did it result in a decrease in the number of injury presentations? Did it result in children being more assertive and confident to avoid exploitative situations? It is far easier for us to measure things in terms of statistics and referrals but what really matters is the impact on the child or young person. And, of course, professionals cannot make appropriate referrals unless they have the tools to recognise the specific vulnerabilities that exist within an age bracket that is wide and varied – from birth to 18 years of age. Quite rightly, within medicine, a lot of focus is placed on identifying potential signs of abuse in those children who are not of a developmental stage to be able to talk for themselves. Traditionally, the focus has been on very young children and babies, for very good reasons. But, whilst that focus must remain, we need professionals to now recognise that there are other groups of children and young people who also are prevented, often by system failures, from expressing their concerns and we must not forget that older children may be just as vulnerable from different types of abuse as very young babies are. I don’t think there is universal appreciation or acknowledgement of that yet and I believe that more work needs to be done with professionals so that they can more fully understand the issues that are involved in, for example, sexual exploitation. You here today are a select group – you will realise what I have said is true – but we shouldn’t forget that I don’t think that you are typical of all professionals who are not here and there is much work still to be done. As Nelson Mandela said, “Education is the most powerful weapon which you can use to change the world” for it is only through education – both of the community and professionals – that real changes will take place and embed. So, what about the community that lives on that Railway Line I visited in Cambodia? How are those children protected, not just from the actual trains that pass within a whisker of their houses and facilities – but also from that metaphorical train of abuse speeding, seemingly unstoppably, down the tracks towards them? Well, that train can be stopped and this is how we can do it. We all have a role to play in preventing child abuse and neglect and helping young victims to recover. But I’m not just talking about teachers, health professionals, social workers, the judiciary, the voluntary sector and law enforcement professionals. It is well recognised that the value of participation of children and young people in public decision-making is significant. Children and young people wish to have a greater say in the way that decisions are made about their lives but they also want to be fully involved in the design of services that are provided to them. We know that some children find it difficult, for a variety of reasons, to report adverse childhood experiences or to ask for help and, therefore, we need to find a way that they can be empowered to speak up and have their concerns more easily recognised and acted upon. Firstly, I am recommending the launch and evaluation of a new children’s advocacy centre in the North West of England. Developing an advocacy centre here would empower children to engage and would help build a stronger local community with children at the centre. A children’s advocacy centre would fully involve children of all ages in the location, design and service-specification. It would be much more than a Multi-agency Safeguarding Hub (a MASH) and would be child-focussed, facility-based with representatives from many disciplines working together to effectively investigate incidents and to provide support, safety and security for children. I have seen some great examples of child advocacy centres in the USA including in Texas, Arizona and Pennsylvania and I know that within the UK there are equally excellent examples of projects and centres which touch upon the proposal I have made, including the Brighton and Hove Youth Advocacy Project, The Integrated Health Centres in Cornwall’s Schools, The Marketplace in Leeds and STEPS in Weymouth. All of these can be looked at for inspiration. A great injustice is done to children when society fails to listen to their views, fails to facilitate their true participation in decision-making processes and fails to value their contributions towards shaping a better society for everyone in the future. But it is not just an advocacy centre that is required; it is a change in the way that organisations work with the community on child abuse prevention programmes. Yes, there are examples of excellent practice already in the UK, but we need much more recognition of the crucial impact Adverse Childhood Experiences – or ACEs – can have on the physical and mental health of not just children and young people but the adults they will become. In my report I’ve set out information about what ACEs are and it is crucially important that communities and the society in which they are placed recognise the significant effects ACEs can have on the future functioning of children and young people because it really is true that as Frederick Douglas said, “it is easier to build strong children than to repair broken men”. But what about community engagement? How have organisations working with families, such as those living in the situation I found beside the Railway Line, worked together with the community to better protect children living within it. I want to finish now with two specific proposals concerning society in general. One, based on work that I saw in the USA and one based on work in Cambodia. Child maltreatment is, in its most general sense, no different from a slowly replicating disease within communities and a public health approach to its prevention is vital. In the USA April is Child Abuse Prevention Month which is a time to acknowledge the importance of families and communities working together to prevent child abuse and neglect and to promote the social and emotional well-being of children and families. Temporal factors and the incidence of physical abuse in young children have been investigated during child abuse prevention month and it has been shown that younger children were less likely to be injured during that month and more likely to be injured at other times of the year. Although the causes of these variations require further study, there appears to be an association between the launch of an event aimed at preventing child abuse and a decreased number of young children injured during that month. As a nation we must do better – we have to strengthen our resolve to give every young person the security, opportunity and bright future that they deserve. Raising a healthy next generation is both a moral obligation and a national imperative and I am recommending that as soon as possible after the 2015 UK General Election (and there is at least one person in the room that can have direct influence over this) the Government should consult with key child protection stakeholders and prepare to launch a pilot UK Child Abuse Awareness month as soon as is practicable. But what about my final recommendation I want to talk about today – a recommendation from Cambodia. It concerns the fantastic ChildSafe scheme. A scheme I would like to see replicated and piloted here in the UK. Children and young people are traditionally protected by their families and their communities but in a rapidly changing world sometimes these families and communities have not been acting in a way that properly protects children and young people. ChildSafe is designed to protect children and young people from all forms of abuse, to prevent them from engaging in dangerous behaviours and to influence all tiers of society and the international community so they can create positive environments for children and young people wherever they might live, and in whatever circumstances they exist in. You just need to look at the ChildSafe website for further details and to see the extent of the fantastic work that this project encompasses. But how do I know that this works? I’ve spent time in Cambodia with M’Lop Tapang – a local non-profit organisation that has been working with over 3000 children living on the streets and beaches of Sihanoukville in southern Cambodia for over ten years. They provide shelter, medical care, sports, arts, education, training, counselling, family support and protection from all types of abuse and I’m very proud to have been asked to work with them over the next three years on their health and child protection projects. But this is not just about Cambodia – I know that this scheme can work here in the UK as well. In the future I want to be able to present a video showing the success of a ChildSafe project here in the UK because, currently, as Albert Einstein said, “the world is in greater peril from those who tolerate or encourage evil than from those who actually commit it”. In closing today I can tell you that whilst the abject poverty or dysfunctional arrangements which blighted many of the communities that were visited during this project is obviously distressing, the stories of resilience and recovery demonstrated clearly that no matter how severe the adversity facing people living in situations that none of us, and indeed none of them, would choose to exist in, it is community spirit and a strong social network that is effectively able to protect children. Every child should have every chance in life, every chance at happiness and every chance at success. You, ladies and gentlemen, with your ideas and your work with children and young people can make that happen. You can make that dream for the future a reality. Living on a Railway Line: Turning the tide of child abuse and exploitation in the UK and overseas. Today marks the 50th anniversary of the creation of The Winston Churchill Memorial Trust and each year the Trust goes from strength to strength – this year aiming to award a record 150 Fellowships to commemorate the life and work of Sir Winston Churchill. What are you waiting for? Apply – you only have a few months left to plan your idea! If you’d have asked me eighteen months ago whether I thought that over the last year I would have flown 35043 miles, spent 10 weeks away from home, visited nine different cities in five different countries and met an outstanding group of enthusiastic, dedicated child protection and paediatric emergency medicine specialists from around the world, I’d have thought you were in some kind of dreamland. But, it happened. On a Fellowship journey that took me to Texas, Arizona, Pennsylvania, Colorado, Singapore, Malaysia, Hong Kong and Cambodia it was spending time undertaking a mobile health clinic beside a railway line in Sihanoukville, Cambodia that inspired the name of my report, Living on a Railway Line. Despite my report having only been published for a matter of just a few months I’ve been overwhelmed by the positive response and support that I have received. Living on a Railway Line is a comprehensive publication making ten 10 key recommendations and 25 enabling recommendations for the UK with seven associated international recommendations. Little did I know when I planned my Fellowship travels that I would be launching a report making recommendations for legislative change to better protect children from abuse and that these recommendations will be fed into a government consultation on Mandatory Reporting of abuse that was announced just a week after my report was finalised. My recommendations surrounding professional educational about child abuse and neglect have resulted in an event, to be co-hosted by me and a Member of Parliament (MP), aimed at empowering front-line practitioners to make a small change in their own practice, the collective amalgamation of which we hope will result in better identification of children at risk of child sexual exploitation. My highlighting of the importance of advocating on behalf of children will result in the piloting of a child abuse awareness week and has enabled me to promote empowering children to be involved in the design and development of services locally, nationally and internationally. Being made a Churchill Fellow is one of the most fantastic things that has happened in my entire career so far and I’m confident that the enthusiastic and warm reception that my report has had will result in many more opportunities to make, as Sir Winston Churchill himself said, “…this muddled world a better place for those who will live in it after we are gone”.